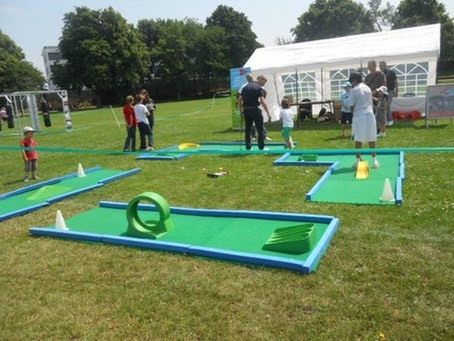 Here’s our pick of the best activities on offer in and around Wandsworth this�month. Joimove Babies is a low impact dance class for adults with babies from 8 weeks to 18 months. 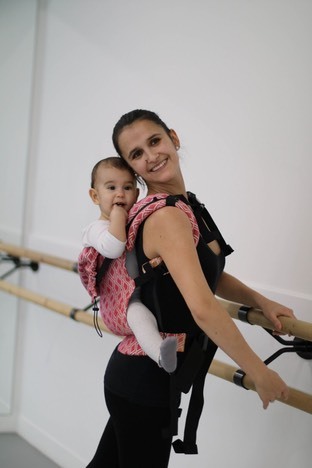 Through Joimove Babies, you can meet new friends, discover wonderful benefits of babywearing dancing, introduce your baby to new styles of music and movement including salsa, belly, swing and ballet. 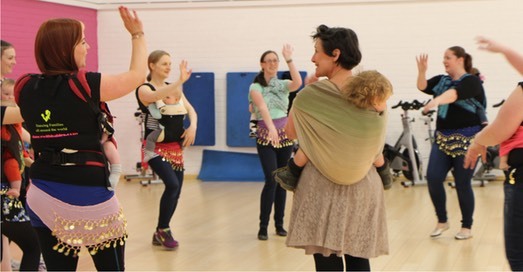 Joimove Babies classes aim to bring people together, sharing the benefits of dancing and parenting by creating a positive and social atmosphere for everyone and promote safe baby wearing. Thames Christian School is the choice for parents who want their child to achieve academically and thrive holistically in a smaller, relational and diverse learning environment. Our independent secondary school delivers high quality tailored education and dedicated pastoral care so that pupils can achieve great grades, good character and become the best they can be. Located near Clapham Junction, our school is accessible from a wide area of London and the surrounding counties. From September 2020 it will be accommodated in a new purpose-built facility with a three stream entry and our own sixth form. We warmly invite you to come and experience our vibrant school and see for yourself how your child could thrive here. Our next OPEN MORNING is on: SATURDAY 29th SEPTEMBER from 10.00 - 13.00 (with Head’s talk at 11.45) when you will have the opportunity to be shown round by our pupils and meet staff. "Behaviour is excellent and pupils feel safe, secure, valued and well supported." "Almost all pupils achieve places at their first choice of schools or colleges for post-16 education, some achieving scholarships at highly competitive independent schools." Celebrate Chinese New Year of the Pig in the Children’s Library with ‘Piggy’ tales and simple craft activities for 2+. Come to Wandsworth Town Library and learn new dance techniques involving the ancient Indian dance Odissi. Odissi is a major ancient Indian classical dance that originated in the Hindu temples of �in India. Odissi, in its history was performed predominantly by women and expressed religious stories and spiritual ideas. It is traditionally a dance-drama genre of performance art, where the artist(s) and musicians play out a mythical story, a spiritual message or devotional poem from the Hindu texts, using symbolic costumes, body movement, expressions, gestures and sign language set out in ancient Sanskrit literature. Your child would need to be a member of Wandsworth Libraries or you can sign up for a library card on the day. Ideally, we hope that you borrow a minimum of 5 books each, although as a member you can borrow up to 20 items for 3 weeks. Books are free to borrow except DVDs, which cost �1.00 to hire for a week. We also run free story times regularly for older children 2 - 5 year old on Fridays at 10 am. Pop in and see what else we have to offer. The Harmonic Minors is a youth choir open to everyone from Year 4 upwards. We sing a wide range of music, perform at church services and concerts, and work towards ABRSM singing exams. It’s a great way to make new friends as well as learning a lot about singing, and it’s completely free to join. The Harmonic Minors rehearse every Tuesday and sing at Sunday services around 3 times a term. They are directed by Katy Silverman, Assistant Director of Music at St Mary’s Church, who is a professional organist and experienced teacher. 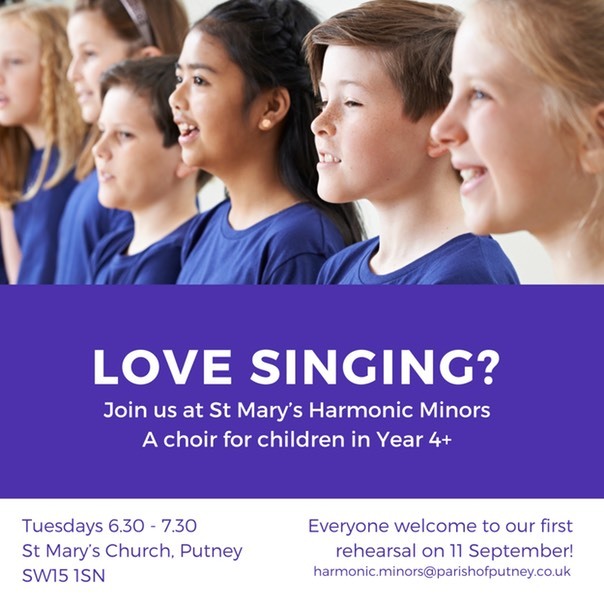 To find out more, come along to our first rehearsal of term on 11th September, or get in touch with Katy at�harmonic.minors@parishofputney.co.uk. Tara Theatre��is the perfect place to leave behind your stresses, escape from the everyday and lose yourself in a great film in our peaceful setting. The NCT offers support, information and friendship to parents and parents-to-be. Joining the branch gives you access to a wide range of information and opportunities, such as a quarterly magazine, Nearly New Sales, social events, courses, breastfeeding counsellors and playgroups. Are you an expectant or new parent in the area? Live in the Wimbledon area with a little one? Come along to Monday Munchkins at Elim Church, High Path, South Wimbledon SW19 2JY, 10am-12pm �2. Toys available for little ones to play with and a great meeting point for parents. Monthly event suitable for parents to be, new mums and dads or if you are a new parent to the area. Fitness for new mums looking to get back into shape in a fun and sociable environment with a qualified instructor (bring your baby in the buggy). 9.30-10.30am; �6 per session, �4 for members. The Clapham School of Taekwon-Do trains children and adults aged 7 to 50 to develop their fitness, flexibility, concentration and commitment. Contact the club for more information. Quality Swimming lessons for All Ages; from 16 weeks to adults. We offer�lessons for all abilities; from beginners to advanced swimmers. We provide �private, semi-private and small groups swimming lessons for pre-school and�school-age children. 'Adult & Child' swimming lessons for babies and�toddlers. Our lessons are delivered by qualified, enthusiastic and�experienced teachers. We also provide private lessons for adults of all�abilities. Termly lessons are held at Wimbledon College (SW19 4NS) on Saturday�afternoons and on Mondays at Burnwood School (SW17 0AQ).�Also, Friday swimming lessons at Burntwood School venue from February 2013. Approved football training for kids aged 2-7 at the following venues: St Luke’s Church, Wimbledon Park (Wed); Nuffield Centre, Southfields (Mon, Fri & Sat); Southfields Baptist Church Hall (Wed); St Barnabas New Church Hall (Tues). Children get the chance not only to ride a pony in the company of their friends but also to learn and become involved with all aspects of caring for ponies. Ages 4+. Allsorts holds weekly drama classes for four to eighteen year olds. Booking essential – visit website to book. Morning acting classes for children aged between 5-15 years. Classes are lead by professional actors using techniques to teach improvisation, role-play, voice and speech and movement. Weekly beginners, improvers and advanced badminton and squash coaching sessions at Wimbledon Racquets & Fitness Club. Sessions are run by qualified professional coaches and equipment can be provided, so kids can just turn up with clean non-mark trainers. These workshops are packed with exciting games, challenging drama exercises, funky dance routines and songs. The focus is on developing crucial personal skills such as confidence, memory, awareness, concentration, listening, creativity and co ordination. Ages 4-7. Specialist workshops such as special FX, combat for screen, prosthetic make-up, editing techniques. A great opportunity for young filmmakers to develop and hone camera and directing skills and make friends with other young people with a passion for films. Ages 7-16. Call to check availability. New junior cycle club for 9-16 year olds. 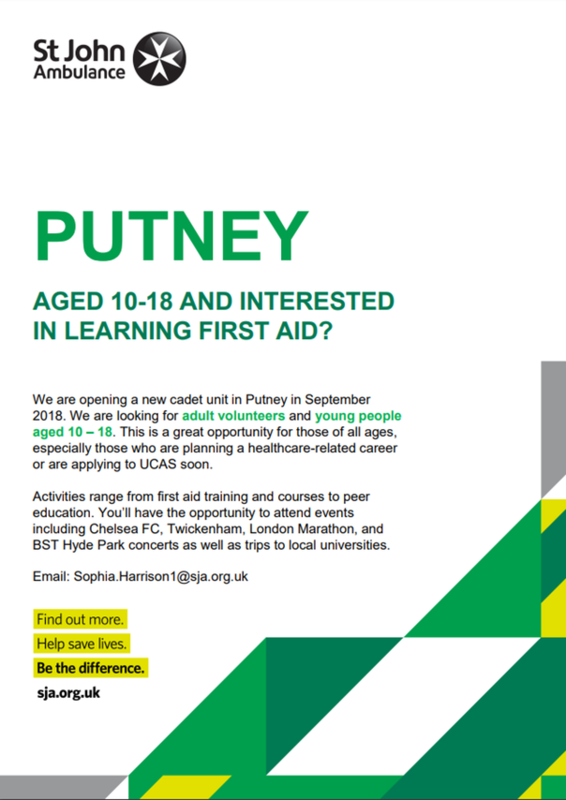 Get involved in off-road racing, time trials (grass and tarmac track), obstacle courses, tow path cycling by the river, Richmond Park road cycle and day excursions. 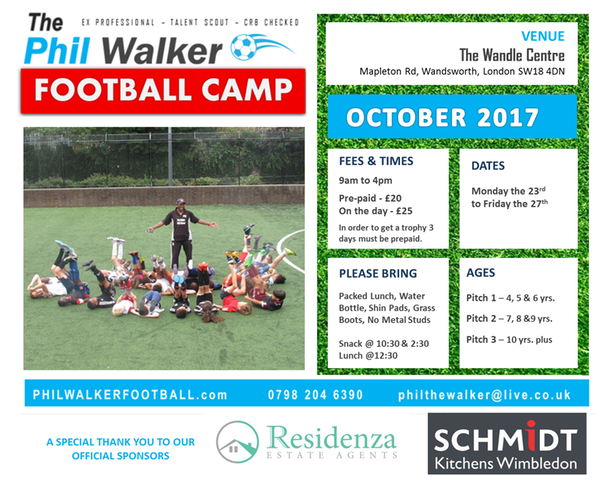 Fulham FC’s Weekend Football is for boys and girls ages 3-14 who want to improve their football skills and make friends. Turn up and play on grass – football boots are advised, but trainers will also be fine. Ridgway Stables offer hacking after school (daylight permitting) and at weekends in the company of other children. Mother and child playgroup for under 5s, create and take home a project from every session. High energy physical activities, music, fitness and fun for 4 months to 4 years. A weekly playgroup where you can interact with lovely multilingual mums and kids. Make new friends while learning some things about multicultural London. The classes are a fun time for parents and children to learn new songs and rhymes together that they can then share at home - using a mix of puppets, action songs and rhymes and lots of time to try all the percussion instruments. Classes have structure and some repetition which makes the children feel safe and encourages them to join in and try new things. Songs, games and stories in Spanish for under 4s. These classes cover all the basic elements of pitch, dynamic tempo and rhythm. The children are encouraged to sing and play on their own and learn the names of the instruments and they provide musical accompaniment for some of the stories. There’s also time for the ‘Jolly Phonics’ system of learning letter sounds. Children’s Theatre Clubs, for children and young people aged 3 to 18. Children work in a fun and friendly environment in drama, singing, dancing and stagecraft culminating in a performance each term. There are five groups for different age groups: Reception to Year 8 (three age groups) on Thurs 5-6.30pm; Youth Theatre on Thurs 6.30-8pm; and 3-5 year olds on Wed 4-5pm. Playball operates a toddler, pre-school and early years programme at Canbury Gardens Tennis Courts. Children take part in activities and games that provide them with a fantastic skill to enable them to engage in most ball sports such as cricket, hockey, tennis, rugby, football, basketball. A regular weekly chance to catch up with your mum friends and meet some new mummies! See website for more details. Early years music groups where you and your child will be involved in active music-making. More importantly you will have lots of fun. Term-time only, places are limited so booking is absolutely essential! A fun filled, musical, soft play morning for toddlers and parents. As well as enjoying the stories and songs, you can dance with your toddler under the disco ball in a shower of bubbles. Music, dance and movement for preschoolers –a new initiative for younger children age 2+. Join WWT London Wetland Centre wardens as they feed the beautiful birds in World Wetlands, kept for conservation purposes. Suitable for children and under 2s. Fun activities for toddlers including making (Mon), cupcake decorating (Tue), cookie making (Thur) and colouring and storytelling (Fri). 11am, free for school children in school holidays. Discover the London Wetland Centre’s amazing wildlife and learn weird and wonderful facts with the education team’s regular pond dips, wildlife walks and trails. Brand new term at Gymboree, which offers classes for 0-5 year olds. Gymboree classes utilise a combination of music, movement, props, imaginary, play and customdesigned and patented apparatus, all to create a fun and magical world where children learn, thrive and most importantly have fun. Sporting activities for children over the school holidays in Merton. Activities include kayaking, sailing, wind surfing, badminton, BMX, tennis, athletics and horse riding, plus much more. Check website for dates, times and prices. Every Thur till 19 Jul; �75 per Mum and baby for 10 weeks. Have you ever come face to face with a ring-tailed lemur? Or popped up right beside a meerkat? Seen an otter at work? Chatted with a mynah bird? From giant rabbits to miniature Shetland ponies, monkey mayhem to the mouse house - this is the zoo that gets you up close and personal. Smiley Time is a fun, engaging and interactive drop-in session for babies to under fives where they will be entertained for 30 minutes with nursery rhymes, songs, stories and bubbles. Classes at The Althorp, Wandsworth (Mon & Thur at 10am) and Belle Amie, Earlsfield (Tue at 10am & 10.45am). Here at�Ministry of Errands�we understand how hard it is to juggle work, home and family. �As a solution we offer our unique skills and years of experience to those who are often too busy to complete the essential errands that are typically the last thing to get your attention. 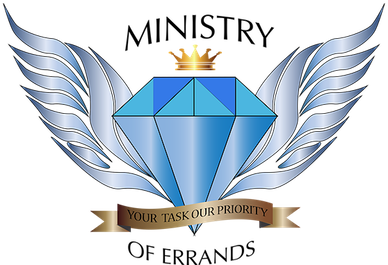 Covering Croydon, Lambeth and Wandsworth, our professional bespoke errand service is here to take that strain off you - allowing you more quality time with your children, time to pursue your career or simply enjoy other activities and hobbies.